The Rev. 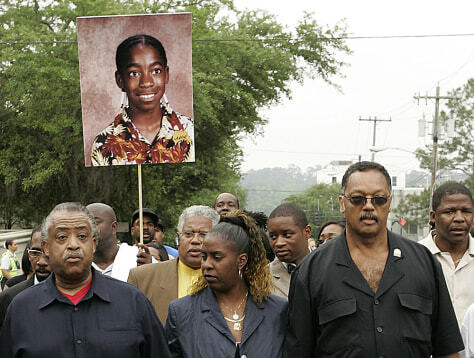 Al Sharpton, left and the Rev. Jessie Jackson, right, march on Friday with Gina Jones, mother of Martin Anderson, who died in a boot camp days after being punched and kicked by guards.